Limerick city itself has braced for possible flooding this week as the Shannon continues to rise after four consecutive storms culminating in Storm Desmond at the beginning of December. The shannonwater being released from Parteen Wier in Logh Derg could lead to major flooding in parts of the city and county in the next day or two. 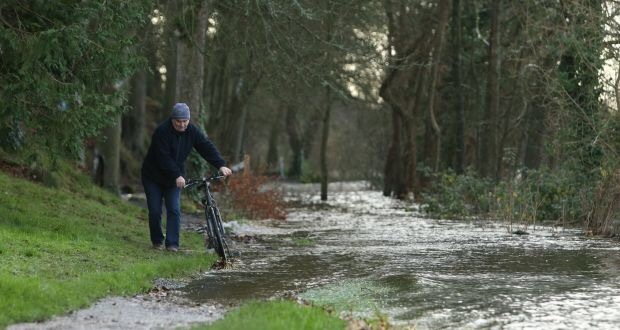 Parts of Richmond Park, College Park and the Corbally Road were flooded from the canal on Sunday the 13th of December leaving some houses and businesses and local secondary school Ard Scoil Mhuire flooded. Waterways Ireland said the pressure of water prevented the Locke gates opening which led to the localised flooding. Athlone is already on the verge of flood and water is still flowing into the Shannon leading to fears of further flooding on the Shannon. Houses,businesses and other residences in Clonlara Co Clare, Springfield, Montpelier and Castleconnell, Co. Limerick are all in flood danger with the army and Naval reserve service helping stricken families.